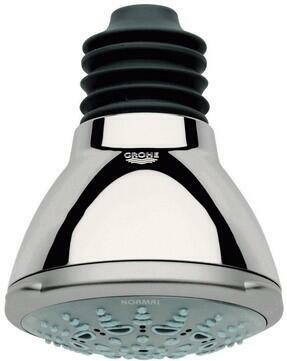 Every aspect of the new GROHE Movario shower products line is geared toward individualizing showering choices. 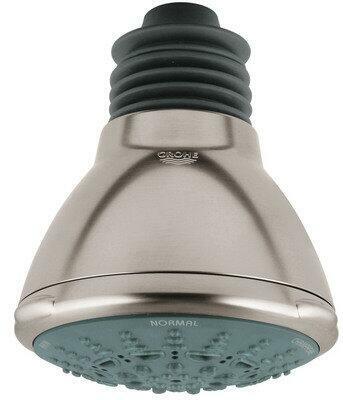 The line includes shower heads, hand showers and accessories all designed from top to bottom to satisfy ergonomic needs as well as meet market demand for multiple spray options and large spray faces for wide whole-body water coverage. At the heart of GROHE's Movario line, however, is the new RotaHead-System that enables Movario hand showers to convert from shower head to body spray functionality with the simple twist of a wrist. Movario hand showers can, of course, be hand-held and used as traditional hand showers. 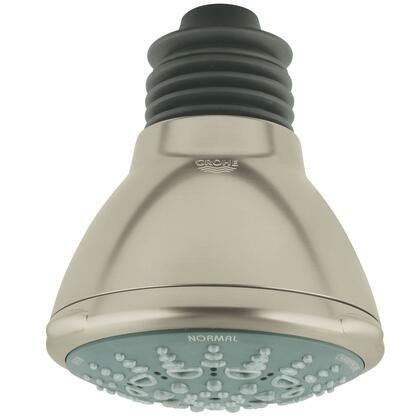 However, when used together with the Movario adjustable-height hand shower bar, the RotaHead-System allows the hand shower to function as a shower head or as a body spray. A one-hand adjustment moves the hand shower up to the overhead position or down to the body spray position, and all points in between. A twist of the wrist turns the hand shower face 360° through eight pre-set positions, changing the shower spray angle and re-directing the water flow to whatever part of the body is desired. 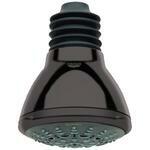 This feature is also very convenient for using the hand shower to rinse off the shower or tub. The Movario shower bar offers its own list of features as well. The mounting brackets of the extra long 40-inch Movario shower bar allow for variable fixing points so that retrofitting the bar does not require drilling new holes in tile. These mounting brackets are also each specially designed to act as hose guides or secondary hand shower holders facilitating a quick move from highest to lowest position. The sliding, variable-height hand shower holder offers one-hand operation for adjustment of both height and hand shower angle. An accessory tray is available for holding soap or other shower items. The mounting brackets also function as small shelves for holding other shower necessities such as shampoo bottles. Movario Five features a champagne spray, a pulsator spray, a wide regular spray, a narrow needle jet, and new rainshower spray.